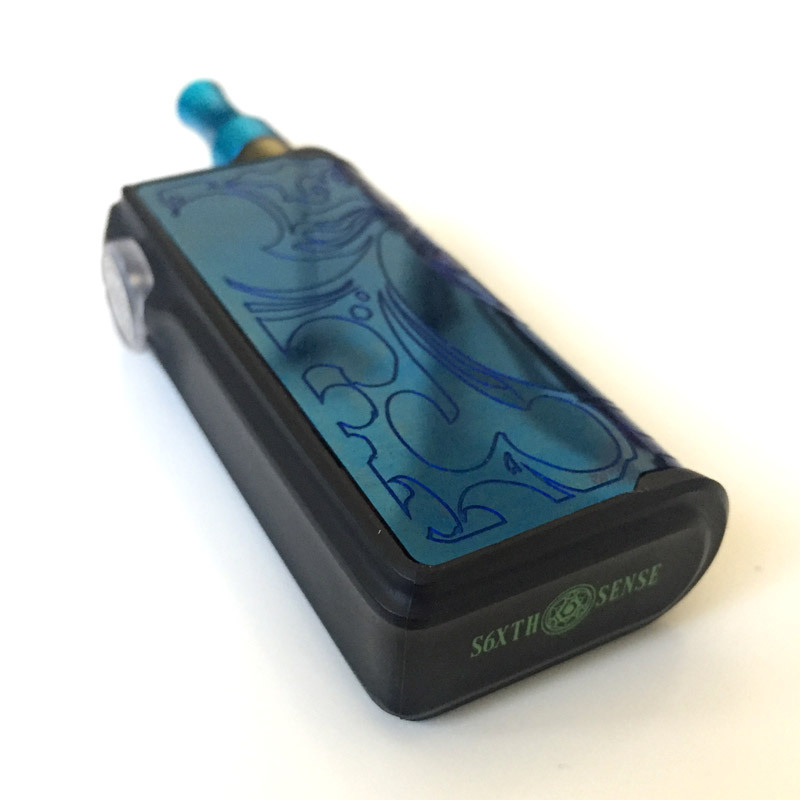 The S6XTH Sense Swan is easily one of our favorite vape cartridge batteries to carry around for every day use. The Swan is a tiny box mod vape that’s lightweight, discreet and powerful. It’s compatible with almost all vape cartridges and has a battery quite larger than your typical pen-style vape battery. The Swan comes with two magnetic attachments which are a nice touch. 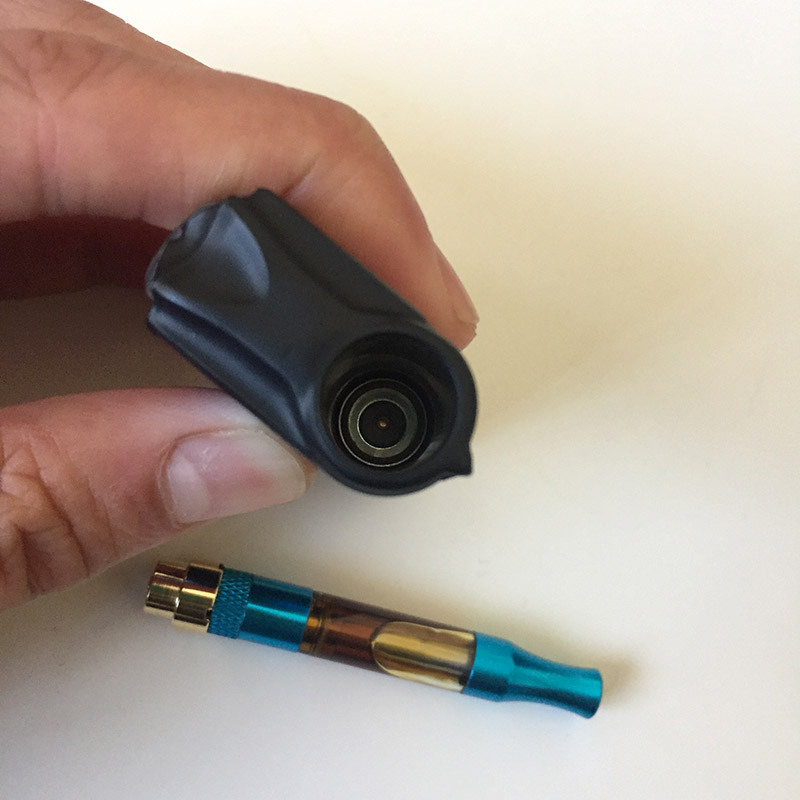 Once attached to the vape cartridge, the magnetic attachment ensures an excellent connection from atomizer to battery every time. No need to keep adjusting how tight you screw your cartridge into your vape battery. To top it off, the Swan also has variable voltage settings to find the perfect temperature for your specific vape cartridge. No oil is too thick or thin for this mod battery. On a full charge, the Swan allows you to get the best hits out of all your cannabis oil vape cartridges as you can vape at just the right temperature and really taste the flavors of your cannabis. The Swan vape is designed for easy, every day use. It fits most vape cartridges on the market that use universal 510 threading. 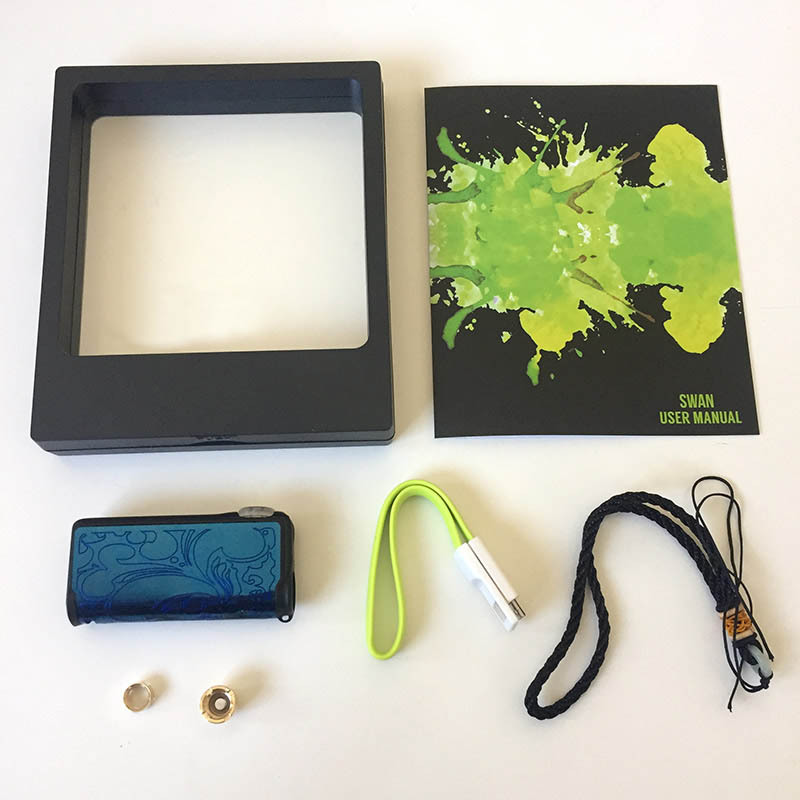 The outside of the vape is wrapped with a decorative plastic panel that features some interesting colors and patterns. 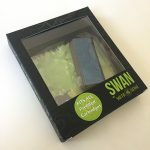 Check out the full selection of Swan battery styles over at S6XTH Sense. Screw one of the magnetic attachments on to any universal 510 threaded cartridge, then drop the cartridge into the battery. Press the power button 5-times rapidly to turn it on, 4-times to cycle to the next temperature setting. If the oil in your cartridge is thick, press the power button 2-times to enable the preheat mode. 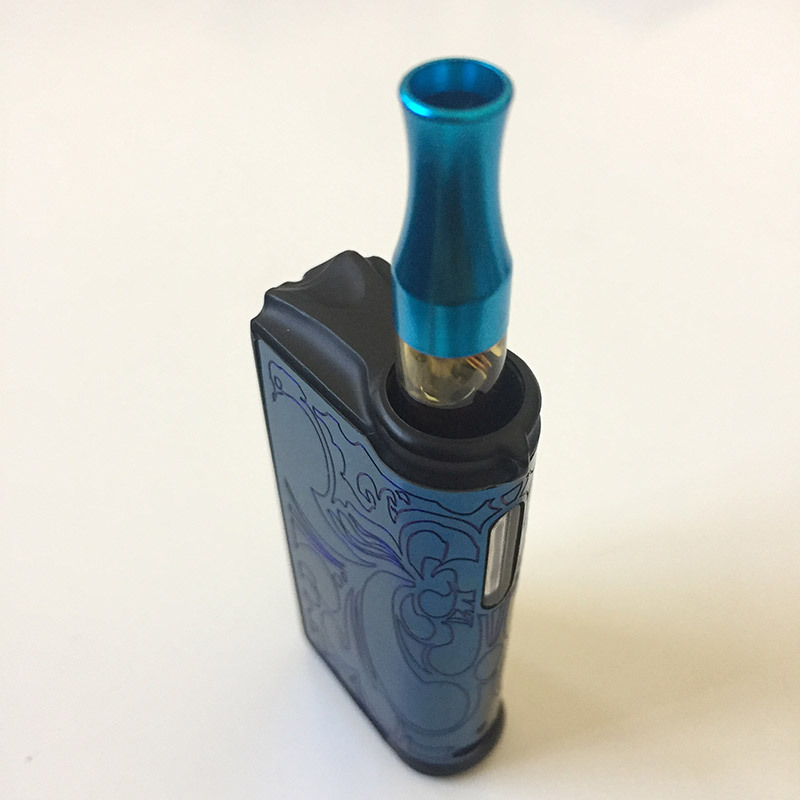 To start vaping, press and hold the power button for the duration of your inhale. We found the Swan to be a reliable and practical vape battery. If you’re a fan of vape cartridges, you’ll enjoy the long lasting battery and compact size which fits discreetly in your hand. The outside metal panel looks stylish and makes the vape stand out, but the material could use some improvement. The decorative panel is a bit flimsy. After a month of use, the panel began to loosen and started popping off. This is no deal breaker though, we just had to keep pushing the panel back down in place and eventually hit it with a drop of super glue. As far as performance, we tested the Swan with an Angel City THC cart (Sour Diesel), O.penVape Reserve cartridge (Gorilla Glue) and some high CBD Cobra Extracts venom cartridge (Harlequin). Puffing on the Angel City THC cartridge at low temps transferred amazing, full flavors of the cannabis oil. No need to go higher than the lowest setting. For the other carts, we turned up the temp to the medium setting and received some nice, tasty clouds. The Swan is an overall great, every day vape battery. It’s a great alternative to your more traditional “vape pen” battery. Most basic vape pen batteries have energy storage capacity around 200-400 mAh, while the Swan is rated at 650 mAh. That’s a lot of extra puffs per full charge! The variable temp feature is great for finding the optimal temp for your specific cannabis oil. When you get it just right, you get tasty, fat clouds without burning your oil. The Swan allows you to really experience the rich terpene flavors of high quality cannabis oils. 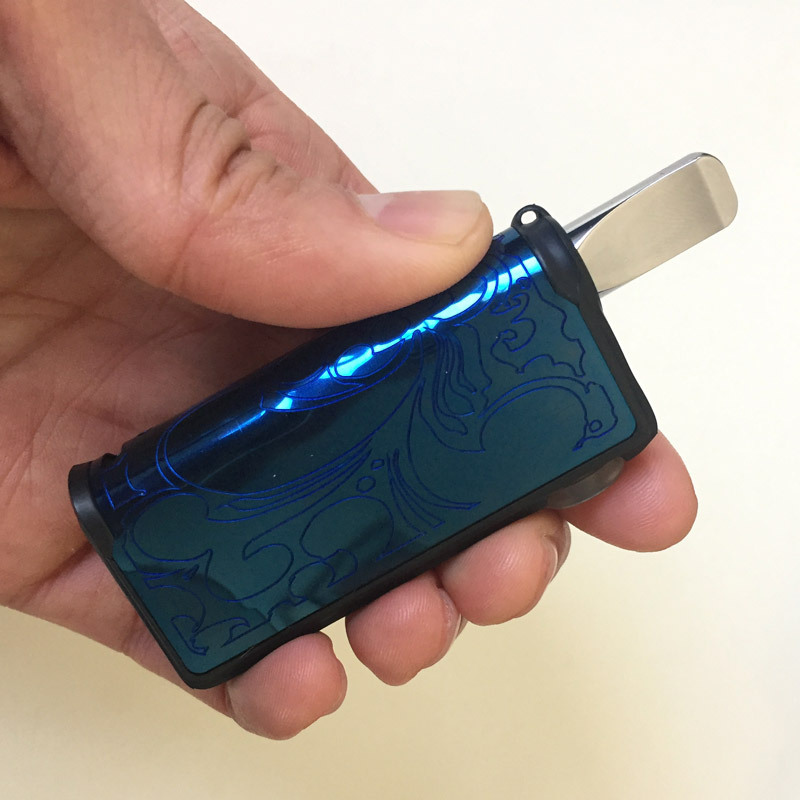 This mini-box mod is incredibly powerful for its size and is easily concealed in your hand. It also fits nicely in jean pockets, so we take it with us everywhere.